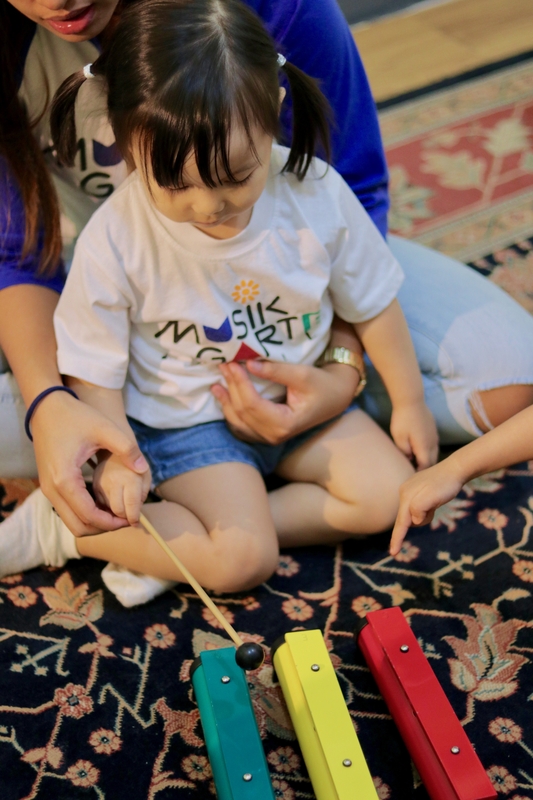 Family Music for Toddlers is an hour of music and movement class designed to benefit toddlers 1.5 – 3 years of age. At this stage, toddlers need to move as they learn through movement. Once children learn to walk, their greatest need and most persistent drive is to explore the exciting world that awaits them. Toddlers need an environment that supports their nature to move. This will help them obtain control and mastery of body movement and to direct their action systems to a desired goal. Sensorimotor systems are fundamental components of brain/body functioning and that sensorimotor integration is prerequisite in learning. 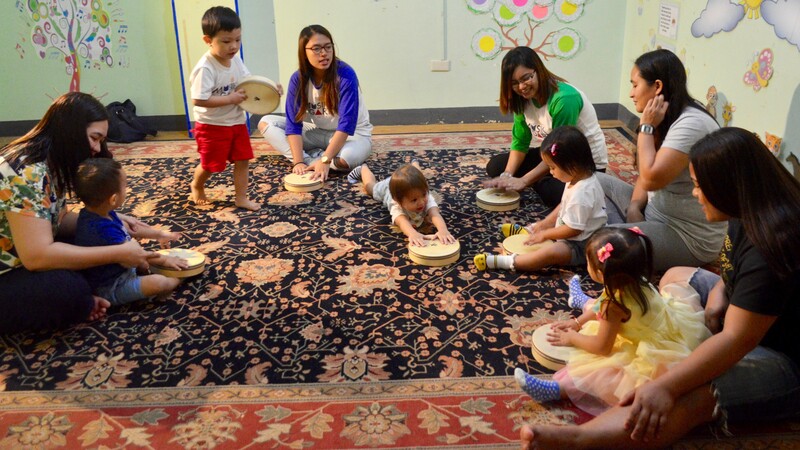 Musikgarten Manila offers this program because we believe that music ignites all areas of child development: intellectual, social and emotional, motor language and over-all literacy that helps the body and mind work together. Singing songs give children pure joy, at the same time it also helps build vocabulary and strengthen memory skills. Chants, melodic and rhythmic patterns while tapping help develop speech and articulation of words. The key to effective learning at this age level is repetition. Children delight in repetition as it provides exercise of their minds. With the use of different elements of music, repetition becomes more attractive to them. Merry-music-making enriches the lives of children. When children are in a happy disposition, learning is inevitable. The goal of this program is to provide an ideal learning environment where they are safe, free stimulated and encouraged to move while learning in the process. We focus in the development of auditory skills, speech, fine and gross motor skills, balance and coordination. And most importantly to enjoy while learning, grow and have fun with others, while engaging in communal purposeful activities.